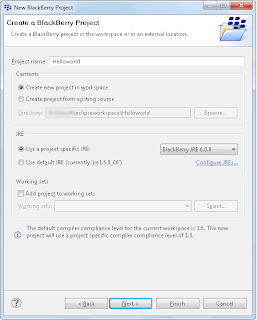 Keraisureshv Blackberry Blog: Blackberry Application Helloworld. 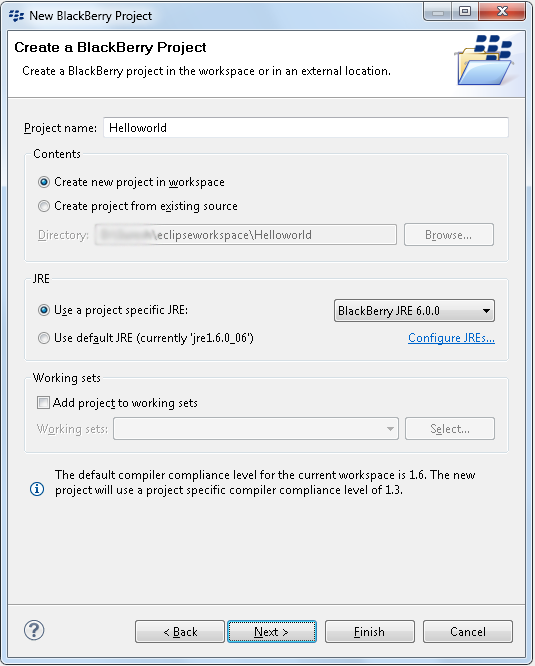 This tutorial is help you write a simple blackberry device hello world application. 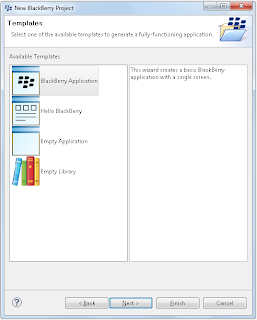 That's help you to getting start to developed blackberry application. Here i assume is that we have already install eclipse for blackberry. 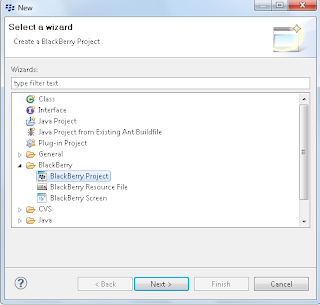 if you have not install blackberry eclipse please follow this step. Please follow following step. 1. 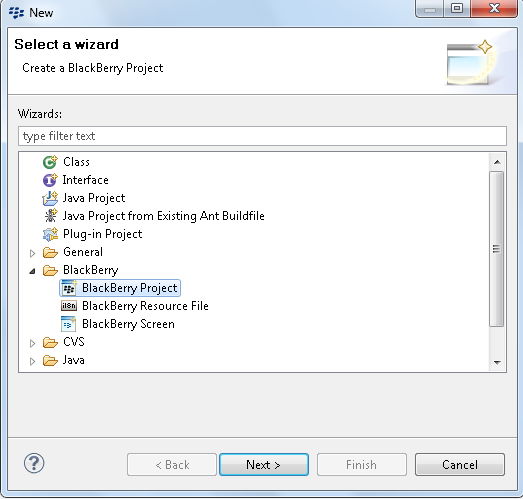 Open Eclipse and create a new blackberry project. 2. 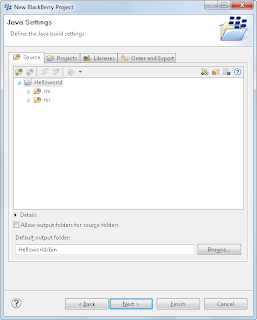 Create Project name Helloworld and press next. 4. 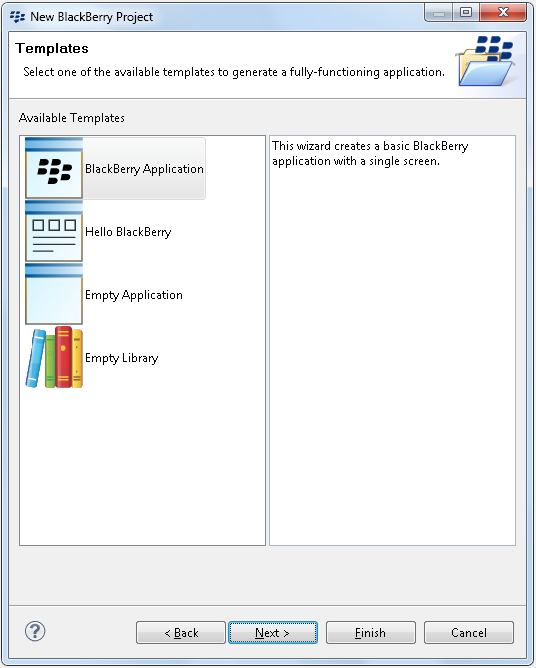 Select "Blackberry Application" template and press next. 5. 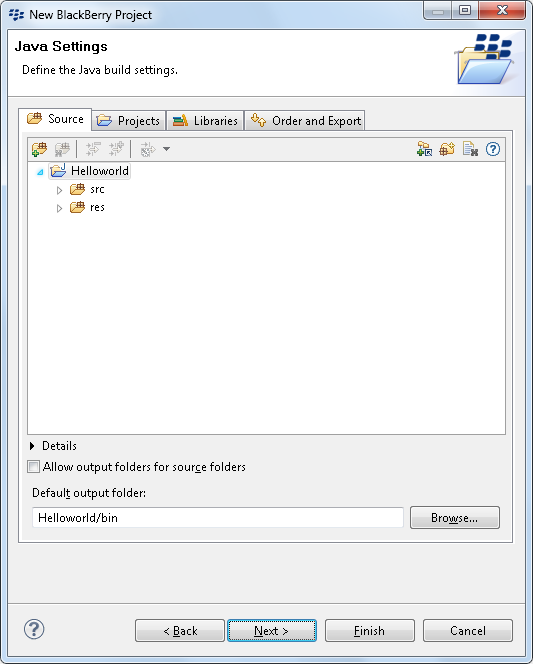 Specify package and class name of application in this step. 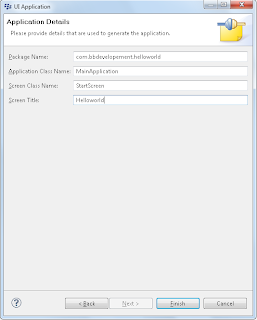 Create new package name "com.bbdevelopement.helloworld"
Write application class name. 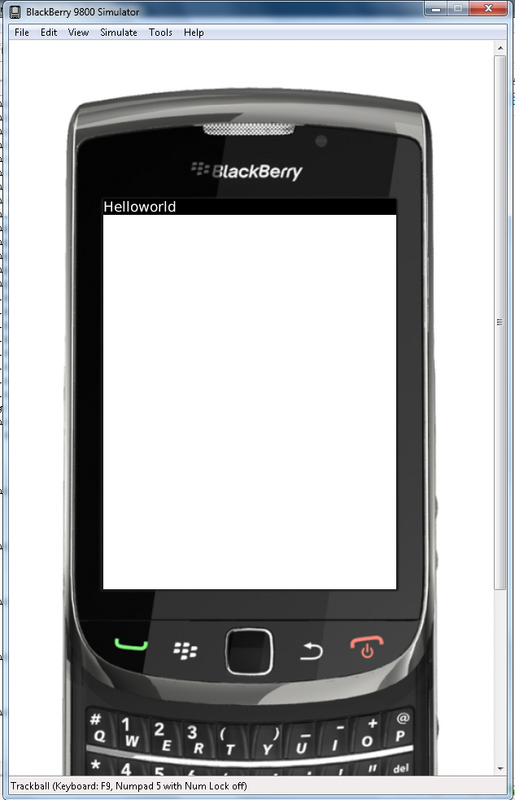 This is our blackberry application starting point. Specify application Screen class. This is application screen we can add TextField, Button etc. Screen Title: Title of main screen. 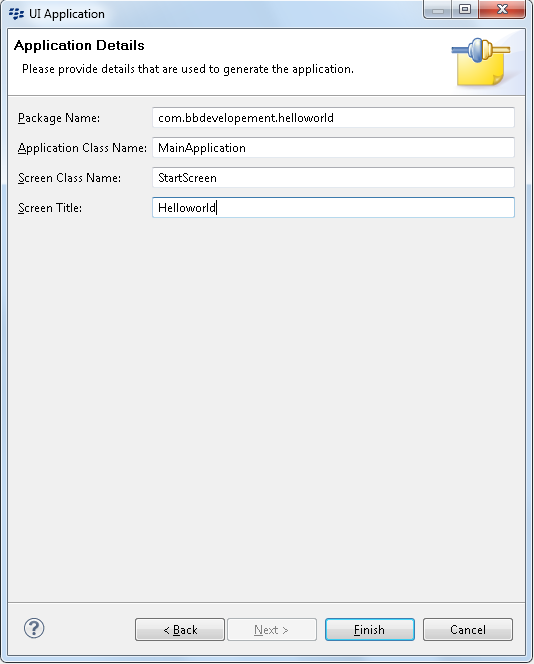 The main method is called at first by blackberry OS which makes a new instance of our application and dispatch it, in the constructor we create an instance of HelloWorldScreen and push it on the application stack. 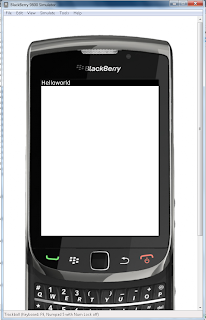 You have just made your first blackberry application, you can run and test this application in simulator, it would show following screen.